Our paint correction process requires in depth knowledge and full understanding of all the stages. First Detailing Studio continuously invest in professional tools, products and staff training! 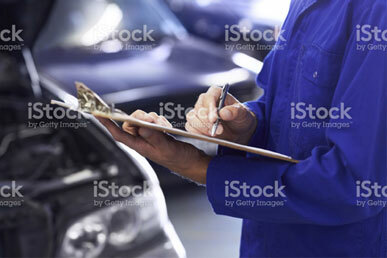 We take full responsibility for our services and guarantee 100% customer satisfaction. 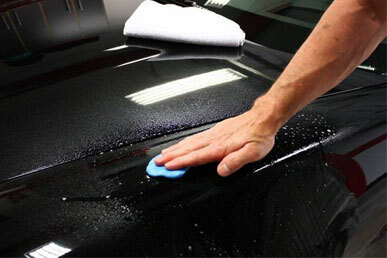 The paint correction process starts with thorough hand washing of the vehicle. It is extremely important to wash away dust and dirt before going further with machine polishing. Our high standard hand washing process includes pre-cleaning in multiple steps and cleaning using only pH-neutral shampoo. 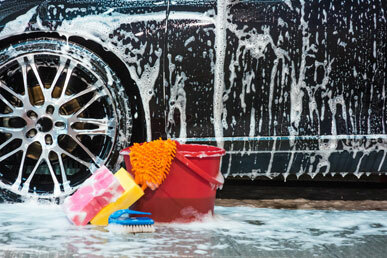 We make sure every element of the vehicle gets properly cleaned. Once the vehicle’s washing is completed we dry it with extremely soft towels. 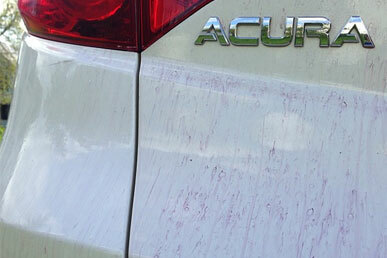 Even the best wash process is not able to remove all surface contaminants from the vehicle. That’s why right after the wash we move to the de-ironing step. 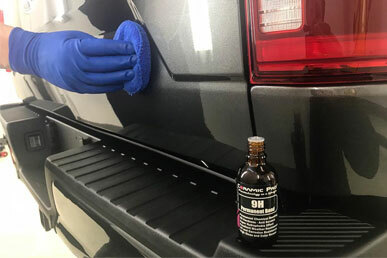 The iron remover surface decontamination system is completely safe and effective on automotive paint. Iron remover is sprayed on the surface and then rubbed into it. All the contamination will turn purple after being in contact with the iron remover. Then the iron remover must be completely washed away from the painted surface. The clay bar process removes all stubborn contaminants. This step is very important because stubborn contaminants can be ground into the paint and cause more scratches while machine polishing. During the clay bar process the painted surface is sprayed with a special clay lubricant, then the surface is gone over with a soft detailing block of clay. When the clay block glides through the thin layer of lubricant it picks up any stubborn contaminants that the wash process could not remove. Once we have removed remove all visual and hidden contaminants, the paint’s clear coat gets inspected by one of our specialists. At this step we determine what sort of correction will be required, and what tools and techniques we should be using to achieve the best results in paint correction. The wet sanding process is used when buffing and polishing isn’t enough to remove deep scratches or orange peel from a vehicle’s surface. Moistened series of specially designed automotive sandpaper with very fine grit is used during the wet-sanding process. Wet-sanding removes the top layer of clear coat. 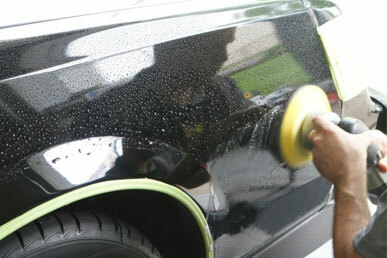 This technique is used only to remove scratches that are deep within the clear coat. The painted surface then has to go though extensive re-leveling by machine polishing to bring back the gloss and shine. 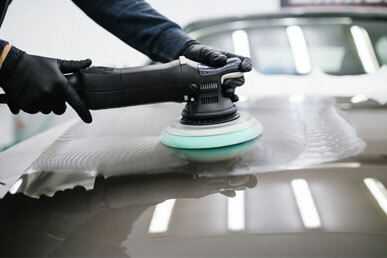 The machine polishing step is the actual polishing of the vehicle in the paint correction process. 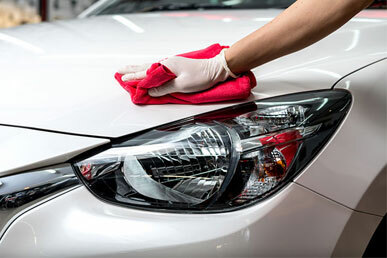 Our specialists determine a combination of machine, pad, and polish compounds to be used to achieve the best possible results in paint correction. Usually two to four cut and polish stages are applied. Deep and large scratches are removed in the first stage of polish and then the smaller surface abrasions caused by this harsh polish are removed by the finer polish that comes after it. Every case is unique and it differs from vehicle to vehicle. Degreasing is a very important step that prepares painted surfaces for the final step in the paint correction process. Degreasing dissolves the rest of the surface contaminants and ensures that the seal coating will be properly applied and serve for a longer time. After all the paint correction steps above have been completed, it is time to seal the vehicle’s paint to protect it from further scratching. It is important to use a high quality and durable sealant. We, at First Detailing Studio, recommend to use Ceramic Pro nano coating as the sealant in paint correction process. Ceramic Pro provides permanent paint protection, scratch resistance above 9h, weather and UV resistance and many other benefits to your vehicle’s paint. Please do not hesitate to contact us and we will be happy to help you with your project!